Our voices and the beat of the drum, mother Earth's heartbeat, are ageless time-proven tools for deep transformation on a global scale. We are about to make some ripples in the cosmic ocean. Forging a strong relationship with your drum and voice is a powerful adventure that can shift and alter your whole life. Come feel the Power of the Tribe. 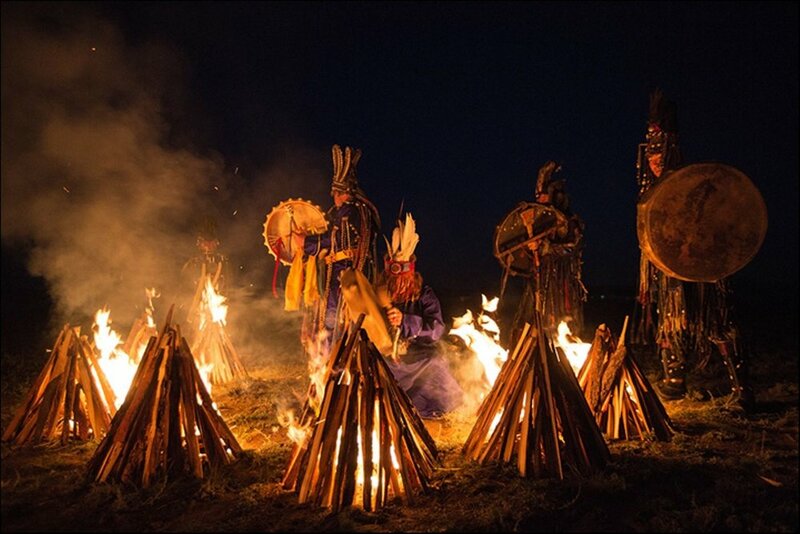 Learn sacred songs, participate in a Native American Pipe Ceremony and be part of a Sacred Council. Use the drum as your vehicles to enter deep states of trance. Our sacred instruments will be amplifiers of our Mother's heartbeat and companions for our voices. We will spend the weekend in prayer and music together. This retreat is for anyone who carries a shamanic drum and would like to dive deeper into the medicine and power of this tool and support the New Earth frequencies. All classes and workshops, drumming and singing circles, ceremonies. Maryn Azoff is a singer, vocal transformation coach, member of the "Tribe of Love", spirit lifter, soul emancipator and fear crusher. She has been on a mission of connecting people with their vocal power for years and knows that it's when people sing together that the true magic of music can happen! Her approach to singing and sharing is always from her heart, where we all meet in truth, wisdom and love, and she creates a safe, judgement-free environment for you to find that connection for yourself. For all housing options, a non-refundable $100 deposit will reserve your spot. Camping: $350 - There are many beautiful spots to pitch a tent around the farm. Shared Indoor Space: $400 - For couples and close friends our beautifully decorated cabin and Mullein House offer shared beds. We also have floor sleeping space on comfortable camping pads available. Shared Room: $425 - The peaceful and beautifully decorated Mullein House have shared rooms with two or three beds available. Single Room: $500 - The beautiful Mullein House and Cabin offer single rooms with shared bathroom. Bliss Without Bother is offering a special wellness gift to registrants! Use referral code "BLISS" at check-out.